Somehow, when I encased my foot in its big red Santa boot in a green City Council recycling bag this morning I either (a) didn’t seal it properly around the leg or (b) ripped it somehow. Because … when I got out of the shower my foot in its boot was swimming in water. Well that’s a slight exaggeration. There was water in the bottom of the bag. This of course, is very uncomfortable when said foot is encased in said red Santa boot. So a call to the hospital orthopedic department at the hospital followed. I spoke to a delightful (young) woman who told me that a nurse would call back and give me a time to come into the clinic. A couple of hours passed with no phone call. 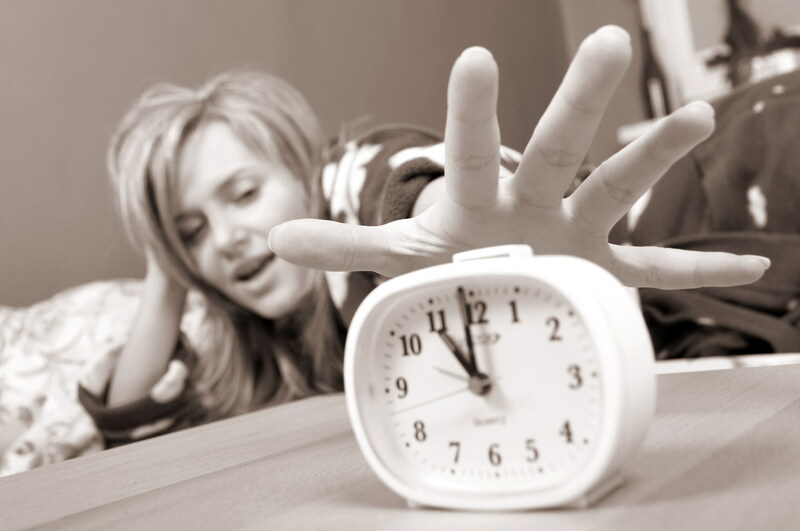 I then made another call working on the assumption that the squeaky wheel gets the oil, to be told by the same (young) woman that the nurses were (a) very busy, (b) had been given the message and (c) would call me back “if they could” today. Whereupon I told her that the foot was wet, the plaster was wet etc, etc and that I needed to speak to somebody TODAY! Some two hours later I received a call from the supervising nurse who said that they couldn’t fit me in today but she suggested that if somebody else were around, I get them to direct the heat from a hairdryer on low, down into the space between the foot and the cast. 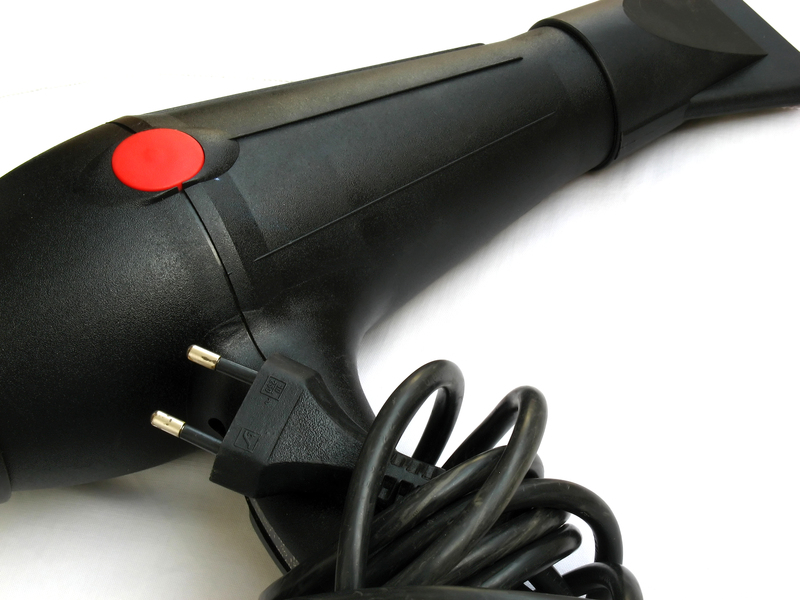 I did point out to her that in the pages of literature I had been given about caring for a cast, directing heat from a hairdryer was a definite NO. She countered this by saying that I was a sensible woman and would know if I was damaging the cast with the heat. How? She also said that if this didn’t work I should call her in the morning and make a time to come back to the clinic to have this fibreglass cast removed and replaced with a full plaster cast. As I have only 7 more sleeps before the cast comes off I asked why they wouldn’t replace it with another fibreglass cast. The response? Because of the type of fracture I have the bone could have moved and they would want to be sure that it stayed in place for another week. That makes absolutely no sense to me. She also commented that if the bone had moved they might have to perform surgery – my response to that is NO WAY. If surgery was to be performed why didn’t they do it five weeks ago at the time of the accident? So my ever patient friend has just sat with me directing a stream of heat down into the cast. I don’t know just how I can repay him for the care and attention that has been lavished on me over the past five weeks. And I don’t know if applying the heat has worked but it certainly feels better than it did before the hairdryer was applied to it. Boy will I be glad to see the end of this cast. Hooray – only seven more sleeps until it comes off. It has been a beautiful day here. Bright sunshine but unfortunately strong winds and so the temperature has never really reached any great height. But it is most pleasant to take a walk around the shore and take in the sights. We started our walk into the brisk wind and found some very interesting houses. 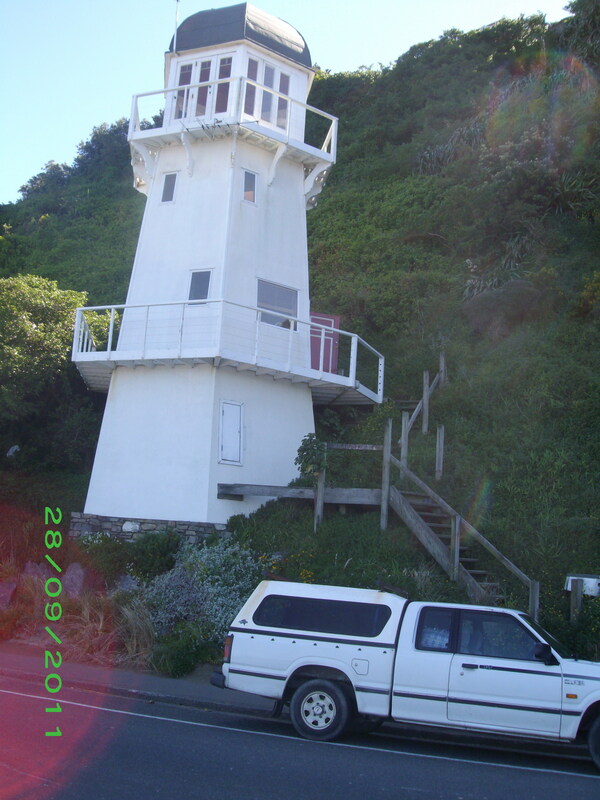 We are told that the woman of this house always wanted to live in a lighthouse, so while she was away overseas on a trip the husband had one built for her. True or not it’s a good story. Immediately to the left of that house sits this one. As you can see it has a life boat built into the facade. No information on why it’s there or who put it there is available but it makes another good talking point. And to the left of that is this house. Why there are two horses above the garage is anybody’s guess. If you look really hard you can see the South Island in the distance. 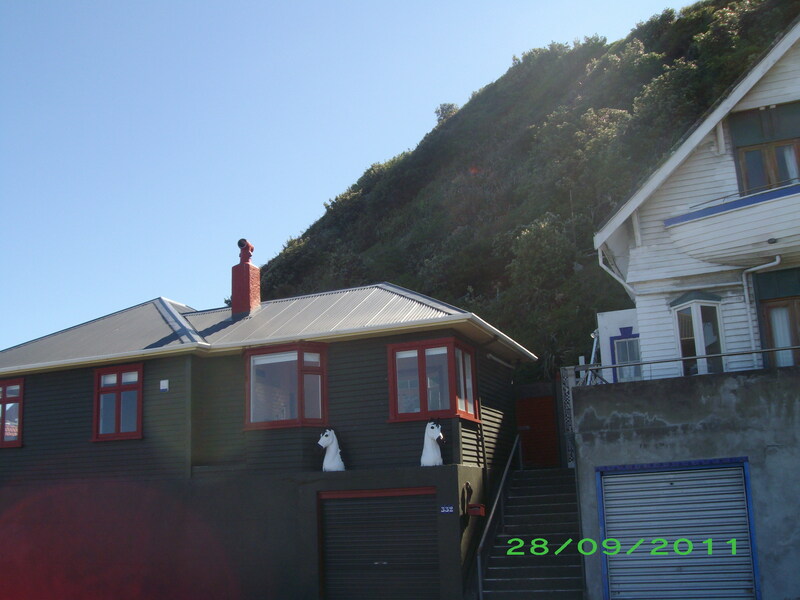 All three of these houses sit with their backs to a high cliff and the sea in front. It would be an exciting place to live when the southerlies blow and the wind whips up the waves. But today it was relatively calm. We then drove a little way around to the Red Rocks Scientific Reserve. 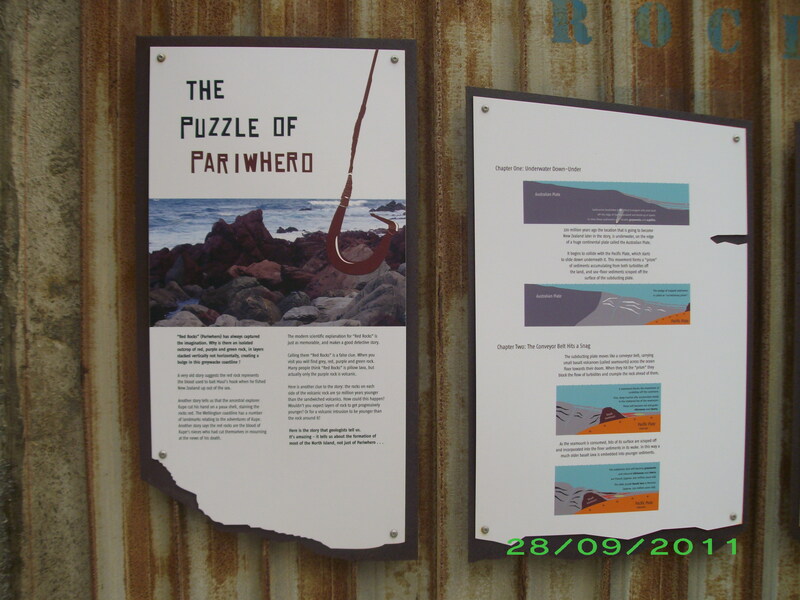 Red rocks or Pariwhero in Maori is an area steeped in myths and legends. 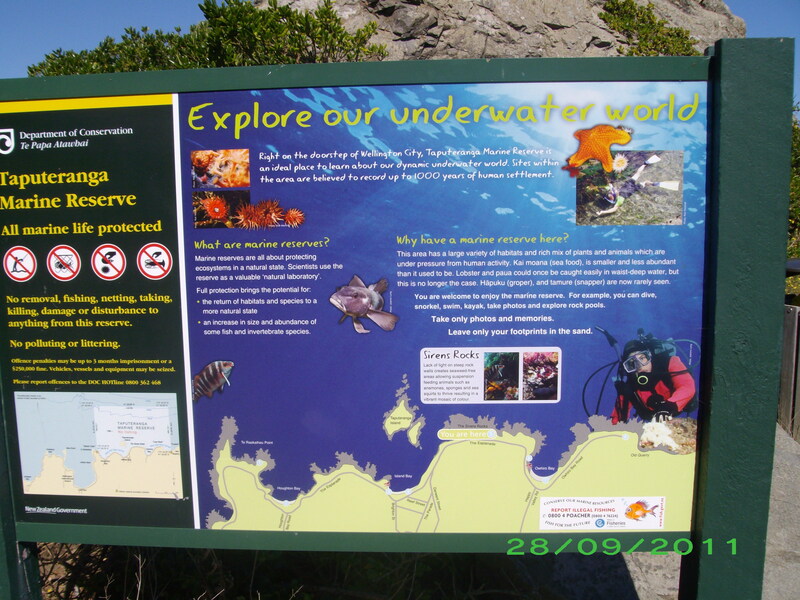 The rocks are ancient pillow lava formed 200 million years ago by undersea volcanic eruptions. Small amounts of iron oxides give the rocks their distinctive red colouring. There is always more than one story in Maori folklore and the red rocks are no exception. 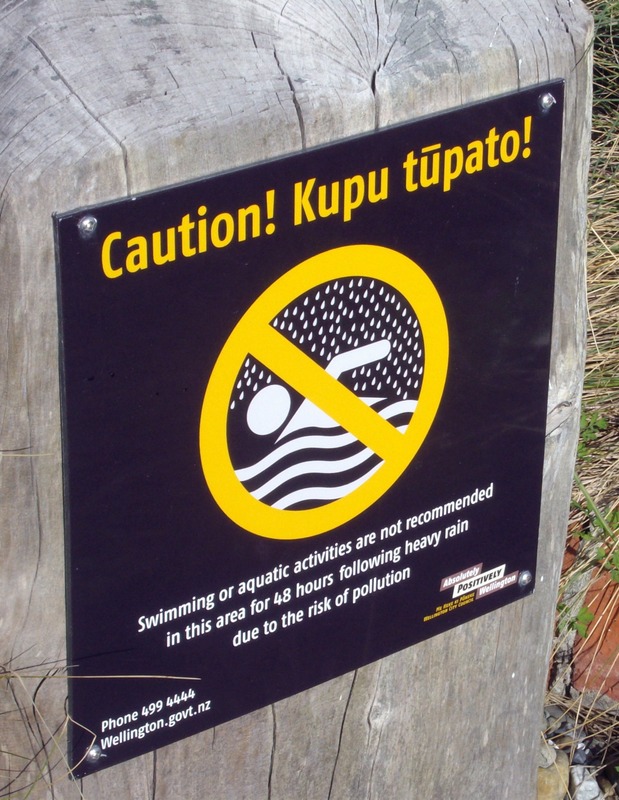 In one story Kupe – the famous Polynesian explorer – was gathering paua (abalone) here when one clamped his hand. He bled and stained the rocks red. In the other story, and the one I prefer, the daughters of Kupe, fearing for his safety on a long voyage, they gashed themselves in grief over his absence. The red is their blood. There is an unmanned Scientific Centre that gives historical notes and information on the surroundings and the habitation of the area. This is one such information tablet. 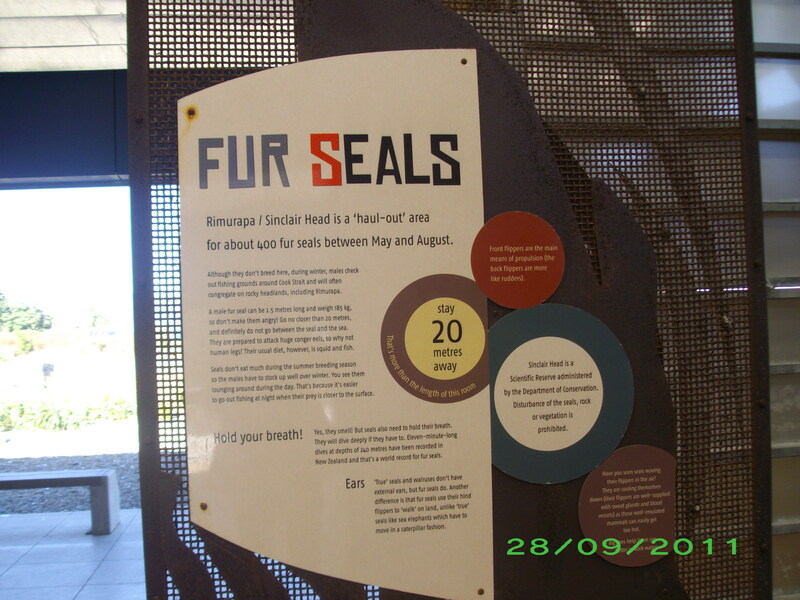 Another is on the fur seals. These are males who have lost fights for territory in the breeding colonies at the top of the South Island. As it is a bachelor colony there are no females and so you are not likely to come upon a seal pup here. There is also information on early quarrying activity in the area. 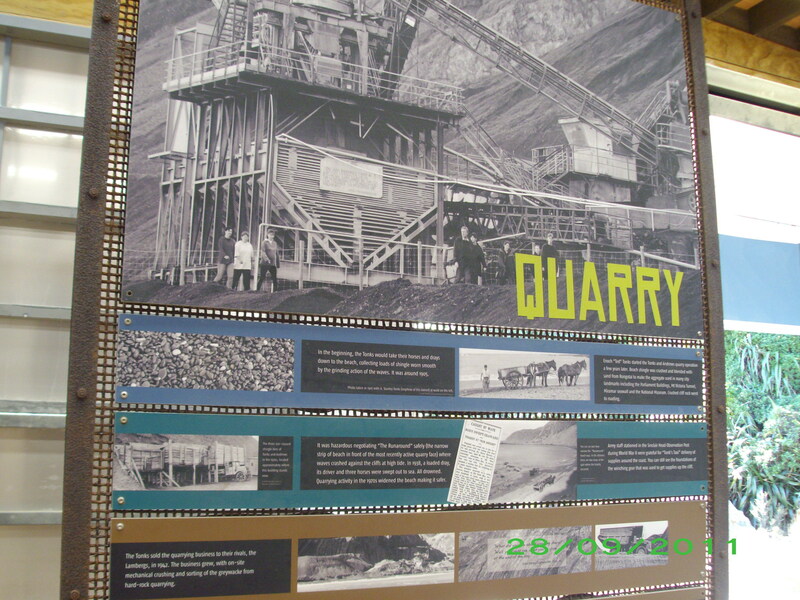 And I shall write about the quarry and its activities and eventual closure in another post. 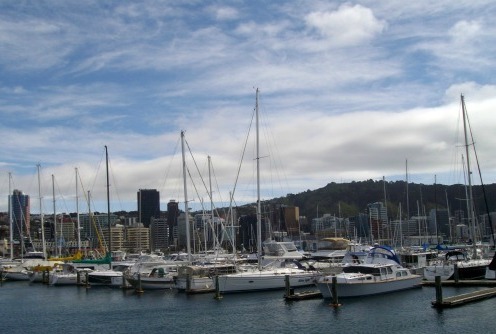 In New Zealand Auckland is known as the city of sails but here in Wellington we have our fair share of yachts. Large and small, we see them braving the mad winds we have in our harbour. Yesterday, when out for our walk and even though there was a brisk wind, the only activity around the marina seemed to be people cleaning and getting their yachts ready to sail. As you can see the marina is almost in the CBD. Having been married to a boat owner (several launches no yachts) I do know just how much work there is always waiting to be done around boats. One Christmas when they were about 13 and 15, we bought the children a Laser. 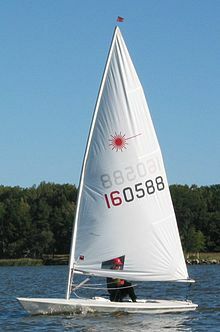 They had earlier been introduced to P-class sailing when we lived on Lake Pupuke in Auckland, but this was their first real experience of sailing and managing a yacht. We had many laughs until they got used to it, and they had many hours, weeks, months and years of fun. But back to yesterday. It was a very good day for a walk around the harbour even though the wind did it’s best to blow Lotte’s ears inside out. For some reason the date reverted to 1 January 2007 on the camera. 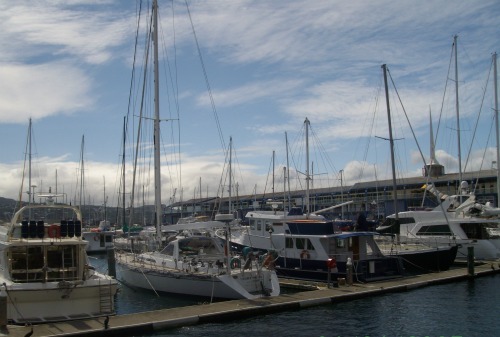 This is the main marina in the city but there are others scattered around our harbour. 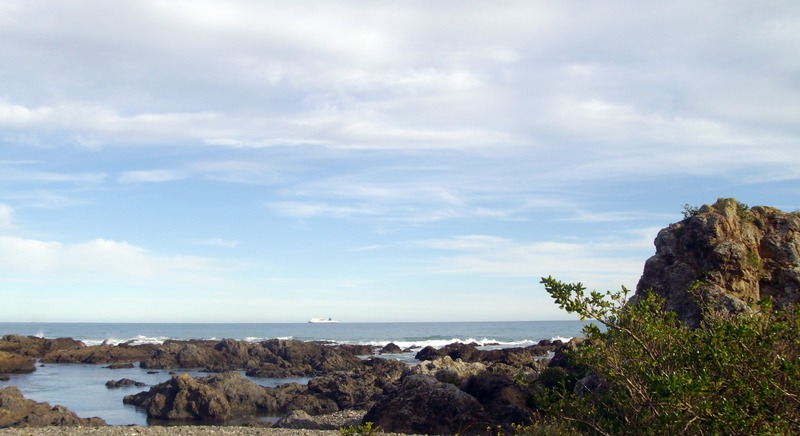 New Zealanders love the sea and use any excuse to get out on their boats. Children start very early with p-class yachts and if they are keen, they can always find somebody wanting a deck hand on a boat for the day. And of course, nowhere in New Zealand are we any more than about 2.5 hours drive from the sea. So those born and/or brought up here have the sea in their blood. 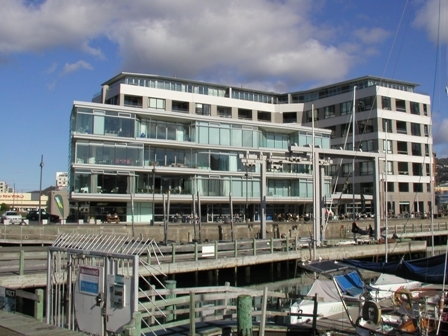 These apartments converted from an office block, have uninterrupted views of the activity on the harbour. 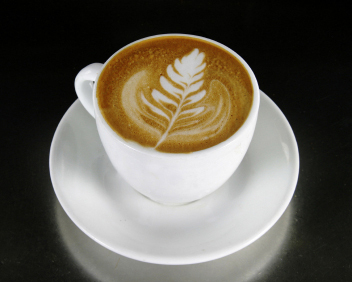 On the ground floor is a variety of cafes and restaurants where one can while away time over a good coffee or a meal. Lotte is welcome but of course, we sit outside with her to drink our coffee. This is a particularly good place for people watching – my most favourite sport. brunch m (petit déjeuner tardif et copieux remplaçant le déjeuner). Today I had brunch with a group of women. I knew one of the four women but the other three were strangers to me. These women meet on a regular basis for brunch and French conversation and I was invited to join them today. Hopefully, they liked me enough to allow me to become part of this group. My French conversational skills are quite limited, but so then were three of the others. The fourth woman was the coach/teacher. This woman was born and raised in Skopje, Macedonia and after deciding that Economics was not for her, she changed to Languages and in particular French for her degree. She arrived here in the mid 1990s with her two small children and husband, speaking no English. How hard life must have been for her then. A new culture, no friends, no way of communicating and two little children. But she is a survivor and although I have only met her just once, this is very obvious. She decided to share her love of the language with others and runs a series of informal classes teaching others to communicate in French. As we were leaving and standing at the counter to pay, a complete stranger came up to me and said “I think you look great”. What a lovely and totally unexpected compliment. It rounded off a very pleasant couple of hours. Do you ever think of paying a stranger a compliment? I have been known to on occasions but with the effect that this woman’s words had on me, I know that I shall be paying compliments to strangers again. Then it was time for Lotte and me to go for our walk. As it was such a lovely day we ventured out to the south coast – 10 minutes in the car. 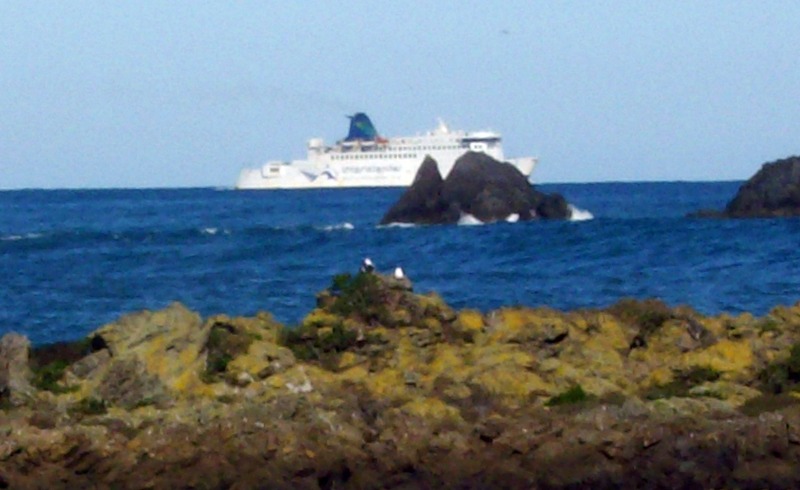 We saw the InterIslander going out from Wellington harbour. On such a beautiful clear, sunny afternoon there would have been fantastic views and opportunities for photographs from the upper deck of the ferry. This is very rugged coastline and quite dangerous to shipping. 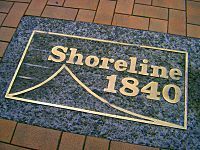 This is where one of New Zealand’s most talked about maritime disasters occurred. In April 1968 Cyclone Giselle hit Wellington at the same time as another storm which had driven up the West Coast of the South Island from Antarctica. The two storms met over the capital city, creating a single storm just as the inter-island ferry Wahine was crossing Cook Strait. 51 people lost their lives in the sinking. Click here for TV coverage of the disaster. It is interesting to hear the coverage and the frightfully BBC type reporting and voice. 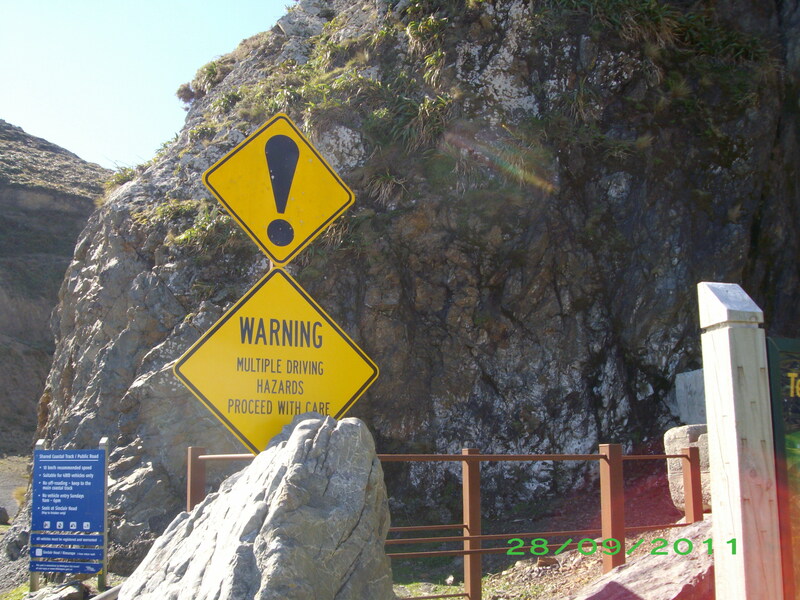 We just love signs in New Zealand and this one caught my eye. 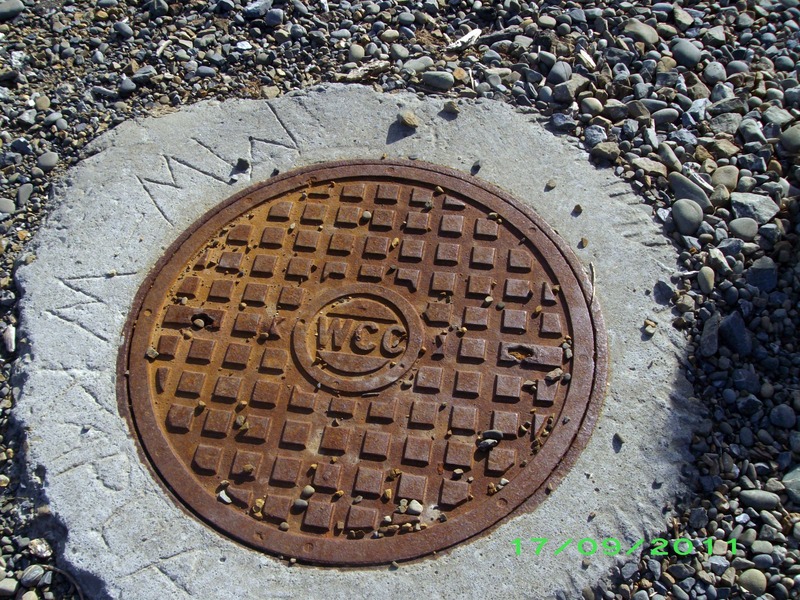 Apparently the Moa Point Wastewater Treatment Plant occasionally discharges a mixture of fully and partially treated sewage through its ocean outfall pipe into Cook Strait. Hence the warning. 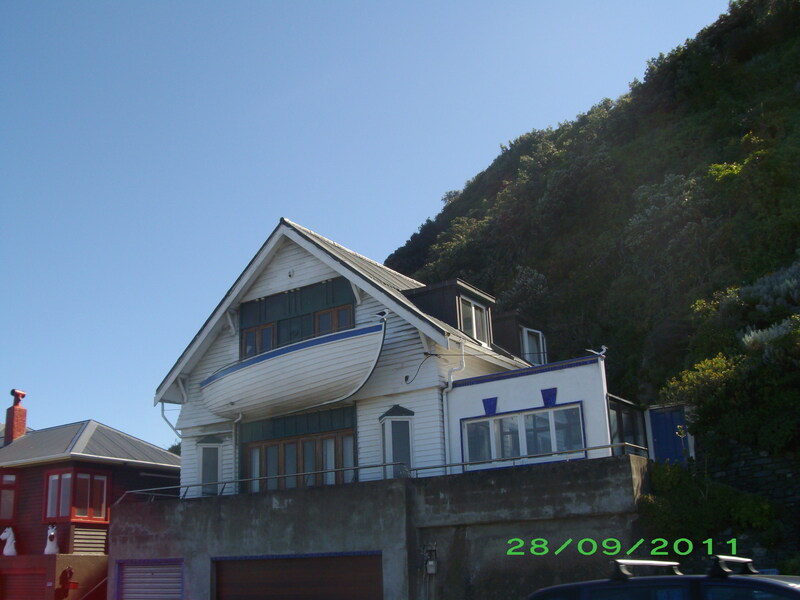 These houses clinging to the shore and the hillside are only about 10 kms from our bustling Capital city. Wonderful on a day like today but I imagine quite frightening in one of the many strong southerly winds that hit this coast. On September 1st (before my gmail problems) Hallysann at Photographic Memories posted some photos of covers and so I thought I would add one of ours. It’s nowhere near as attractive as those that Hallysann found wandering around Oxford but it’s the best I can do for today. By the time we had walked for about 30 minutes and Lotte had done some socialising with other dogs she met on the walk, she was ready to return home. 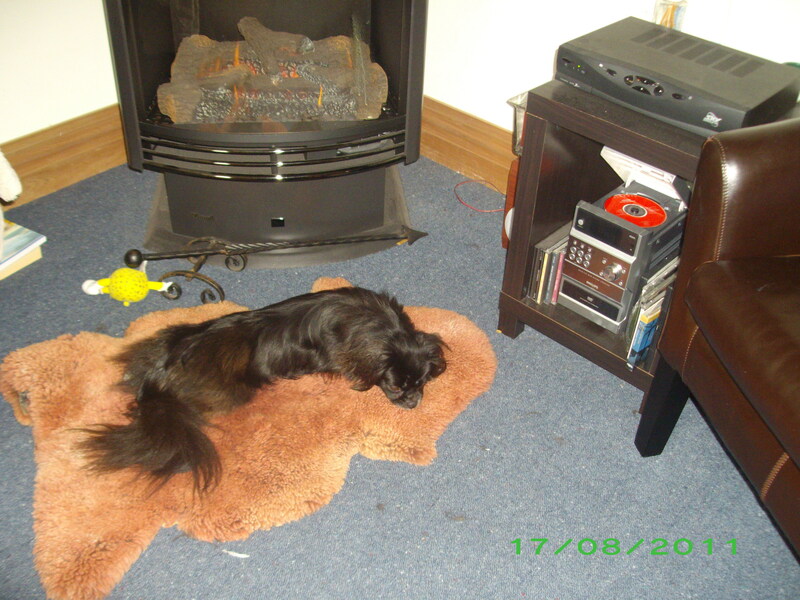 She is now ensconced in front of the fire – her usual place. After being inside for the past 5 days, apart from the short trips to the Open Home on Sunday and the Doctor’s office yesterday, I decided that both of us needed a walk today. So Lotte and I got dressed to go out. the sun was shining and where I live there was little wind. After a quick lunch with a friend, during which Madam was confined to the car much to her annoyance, we went to the harbour. 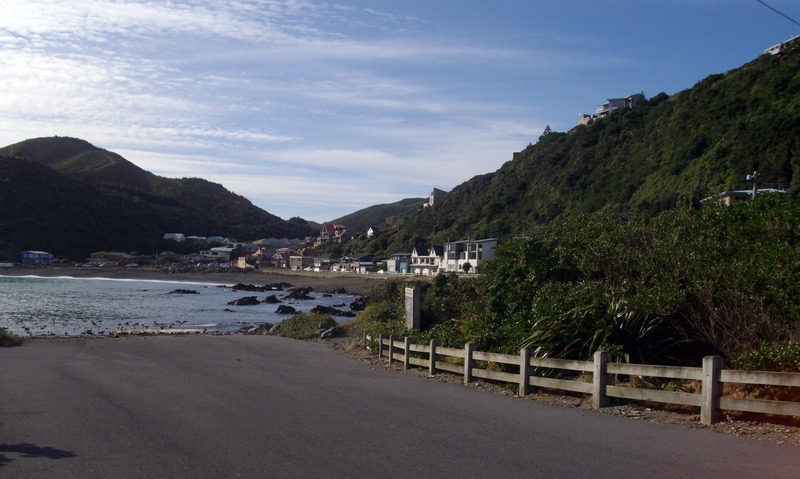 Here in Wellington one can walk for several kilometers around Lambton Harbour. 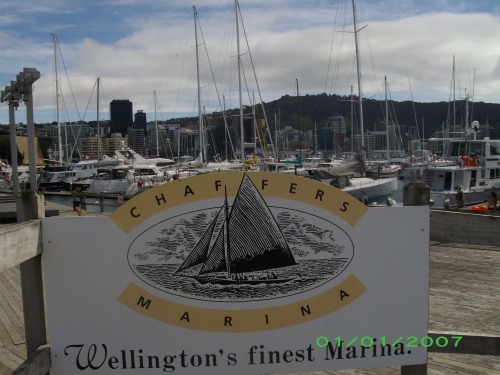 The old port of Wellington has been reclaimed and opened to the public. An old building has been converted to apartments, a large arena has been built and several of the sheds have been converted to other uses. Te Papa (Our Place in Maori) is our National Museum and it sits on reclaimed land in the harbour. So as you can imagine it is a very pleasant place to walk on a sunny afternoon in Spring. But by the time we arrived there the wind had got up – well this is Windy Wellington after all – and poor little Lotte had to contend with the wind blowing her ears back from her head, almost inside out. I do wish I would remember to take the camera with me when I go out as she was quite a sight to see. But we both welcomed the opportunity to get out on such a lovely day. After a disturbed night of coughing, tossing and turning I give in. As I have been urged to, I call the doctor’s office to make an appointment. I turn up at the appointed time, 11.45 am and am told to take a seat. I am in a house in the village converted to a heath centre. It is an old house, well old by our standards, with polished wood floors, a central passage and doors leading off both sides. I take a seat and for the next 45 minutes I sit idly thumbing through an out of date magazine and looking at the others waiting. There is an older couple, he with a walking cane and she obviously taking care of him. They seem to know the only other person in the room, a woman probably mid thirties. She doesn’t seem to be waiting to see a doctor and indeed, when the man’s name is called she tells the couple she will wait until they come out. Meantime, staff come and go; people come and go. The receptionist leaves for lunch and her place is taken by a nurse. She is the one who removed the stitches after I tried to cut off my thumb. That’s another story for another time. A staff member (because she was wearing a name tag) appears in the waiting room and walks over to the young woman and they enter into a discussion as to who should pick up the girls from school and take them to practice. It’s agreed that the staff member will pick them up and they will all meet later after practice. A couple of young girls arrive and only one stays. It is spring here but not warm although they don’t notice that they are barely dressed for the weather. The one who stays is called into the doctor’s consulting room and still I wait. A mother and her young child come out of a consulting room; have a brief conversation with the nurse/receptionist and after saying they will be back tomorrow, leave. A child is crying in one of the consulting rooms, a young man comes out with his arm bandaged and the elderly couple appear. They meet up with the young woman who has waited for them, and all leave together. If I had been feeling better I would have played my usual waiting game. When waiting in airports, grocery checkout lines or waiting for friends, I make up stories about the people I am watching. People watching is one of my favourite games. But this is an opportunity missed today. And at last it is my turn. A charming young man appears. Well he certainly doesn’t look old enough to be a doctor and leads me through to his consulting room. Because I have been sitting in his waiting room for 45 minutes loudly coughing and choking, he doesn’t have to ask why I am there. He proceeds to tell me that it is the flu. How can that be I ask when I had the flu injection at the beginning of the winter. 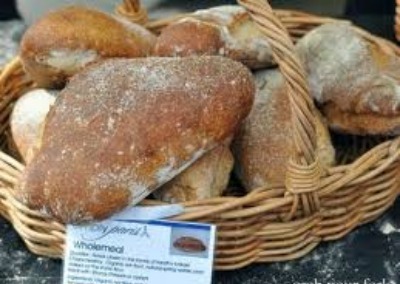 This is a strain that they knew nothing about, It is rife and resistant to the shot I had earlier. Great. He is only just getting over this flu himself. He tells me the cough will last for about 3 weeks. How long have I had it – one week? OK then I should expect it to be around for another two. We talk about the operas that I saw last week . A double billing by the NZ Opera Company and billed Cav &Pag (Cavalleria Rusticana and Pagliachi). A truly magnificent show during which I managed not to cough too often and too loudly. And then he told me about WOW (the World of Wearable Arts show) that he had seen last week. Only then, does he decide to take my temperature, listen to my lungs etc etc. He writes me a prescription for a steroid, an antibiotic and some linctus to ease the throat and help the cough. Then I am out of there. 45 minutes waiting and 15 minutes consultation. But I know why the wait was so long. He is really a charming young man and he likes to talk with his patients and get to know them. His comment to me was that looking at my file he saw that I didn’t go to the doctor often. And over the past three years had been twice with broken bones. Can’t fool that nice guy. Then off to the pharmacy where I had another 20 minutes wait. I just couldn’t wait to get back home. I was exhausted after my morning doing nothing. 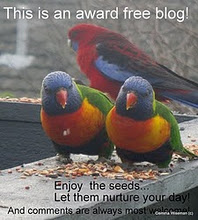 I started with Erma Bombeck and will finish this post with a quote that bears no relation to the theme of this post. Put it down to a hard day achieving nothing. 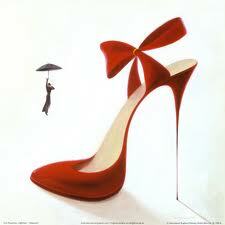 If only I was still able to wear those heels!